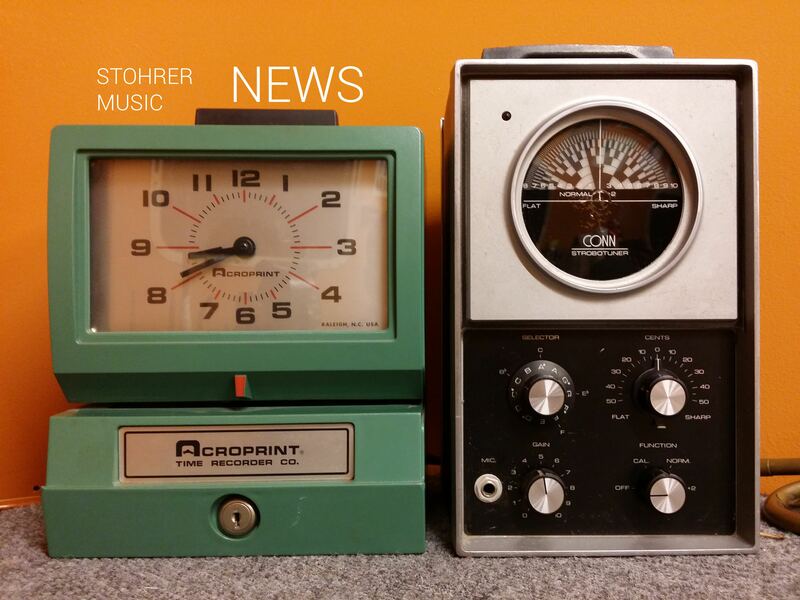 Now that I am coming to the end of my waitlist- and therefore, to things agreed-upon with customers up to two years ago- some changes are afoot here at Stohrer Music, and I want to tell you what they are and why I am making them. Early on in my career I made two assumptions that I have come to believe are incorrect, and the time has come to amend my thinking. Assumption one (This one goes all the way back to the beginning of my career): As time goes on and I get better at my job, I will also get faster. Therefore until I get “good enough”- let us say perhaps 10 years of experience- my prices should be aspirational. That is, that I should price my work according to how long I think it should take me as a good repairer, rather than how long it does actually take me. Here I am now with about 11 years of full-time-plus saxophone repair under my belt, and I can say that this assumption proved to be only partially correct. I have indeed gotten more efficient at some procedures. But these efficiency gains manifest themselves more with cleaner, neater, better repair work than with a notable reduction in time spent. And indeed, any gains on the time-spent front have been completely obliterated by learning new things to do- for example post alignment, swedging and facing, something I was not doing 5 years ago, that now can take an entire day for me to do on some horns- and every once in a while, even longer. I know this because I recently did something I’ve been afraid to do: I got myself a timeclock, and I’ve started keeping meticulous track of how long things actually take me. I did this because I have a successful business with relatively low overhead a long waitlist (one that I am finally reaching the bottom of, which allows me to make the changes I am making), yet I was working long hours to get the job done and make ends meet, and I wanted to find out where I had failed. Some of my fears were not realized- I found that I was not slacking off or getting distracted, and I was putting in plenty of actual hands-moving bench time per week. One of my fears was realized, in a big way: I found that I am spending way, way more time than I am charging for on big jobs- and the bigger the job got, the more I was undercharging. Assumption two: If someone wants an overhaul, the only option is for me to do everything I know how to do. As I continue to learn and grow as a repairman, this assumption has led (predictably in hindsight) to what is known as “feature creep“. As I continued to get better and learn new things, I continued to add more procedures to my overhaul- which due to a bad decision on my part several years ago, is offered and described as a one-size-fits-all service. So I would add folks to my waitlist, lock in a price range, and then by the time I got to their spot I was doing 10-20 more hours than I had planned on for that price- and at least some of the time, some of the work I did was superfluous. At least I wasn’t charging people for unnecessary work, but I was working nights and weekends to make a service that had bloated beyond its original intent fit into its original timeline- and much to my shame, a couple times I rushed. So in short, I have been underpaying myself by design/willful ignorance/belief that somehow I was “slow” or that I wasn’t doing all I could to be efficient at my job, and also I have been overdoing overhauls by default due to failure to evolve my reasoning. Not all is lost, of course. My repair work continues to improve and I am happy with my development as a repairman, feeling that I am doing my best work yet, particularly in recent times with respect to padwork, neck fitting, and mechanical work. The fault we are talking about here lies in my abilities as a businessman. What all this means is that I will go back to doing what most other folks do- offering more nuanced choices and charging by the hour. My communication with clients will improve and be more in-depth, and each job I do will be more tailored to the needs of the player, rather than a doctrinaire approach to the mechanical ideal. To be sure, work that disregards practical considerations will still be available to those crazy enough to want it, but no longer at a flat rate! I have updated the “Repair” section of my website accordingly.